Bringing a sense of well-being and life into your home—that’s why we need greenery. Plants represent life and nature. 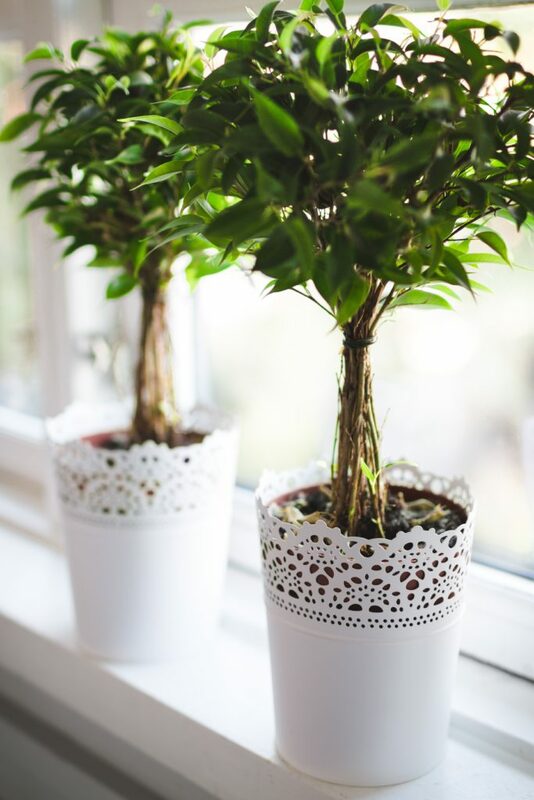 Studies show that live plants reduce harmful volatile organic compounds (VOCs) and carbon monoxide which improves overall health. Plants diffuse sound and echo in the room, and our surroundings would look pretty dull and lifeless without them. Here are some examples of how greenery can be an important and useful element in your home. Plants go hand in hand with furniture to fill and balance the room. Add a potted tree in between a sofa and a chair to bring balance and softness to the hard angles in the room. Tall, willowy trees fit empty corners perfectly as well as adding a sense of style. Create different areas in a large room by lining up a few small trees to define the space. Warm up the cold feel of glass and metal furniture by using fluffy trees and plants to add organic lines to an often rigid, contemporary style. Small pots and sprigs are actually accessories in disguise. 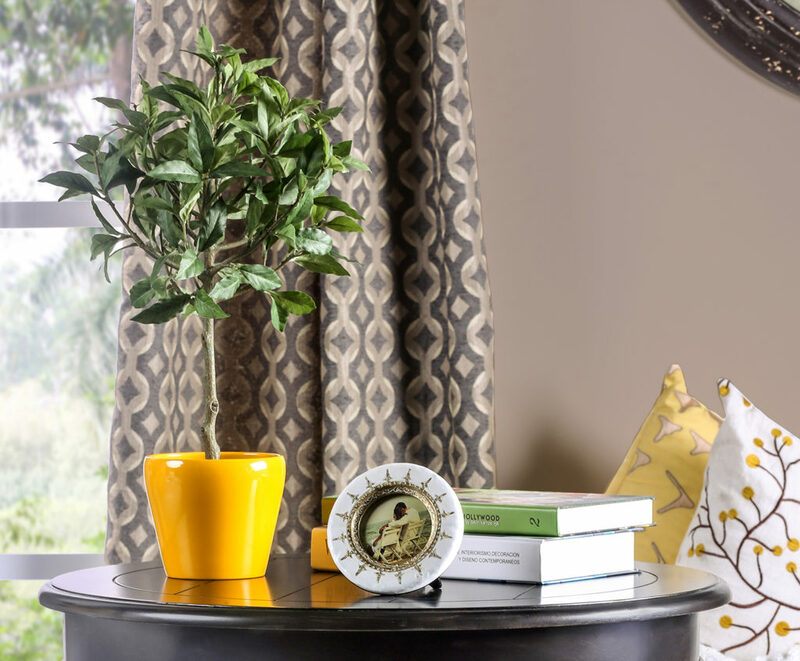 Style an end table with a group of interesting items: a lamp, a small topiary, a couple of books and a picture frame will make a great look. Put one in a small vase or freeform bunches of green in baskets on the floor. Small to medium-sized trees look amazing right in the middle of a big farmhouse table. Use topiaries in small pots or vases on night stands and occasional tables. Find some trendy types of greenery and containers to add life to your environment. If you have a green thumb, go for the real thing. If you want no-maintenance, fabulous fakes can be found at your local craft store. We won’t judge. Lambs ear, maidenhair fern, dusty miller, olive trees, mini topiaries and long willowy stems are all current options. Mix it up! And don’t forget—your choice of containers make a big difference! 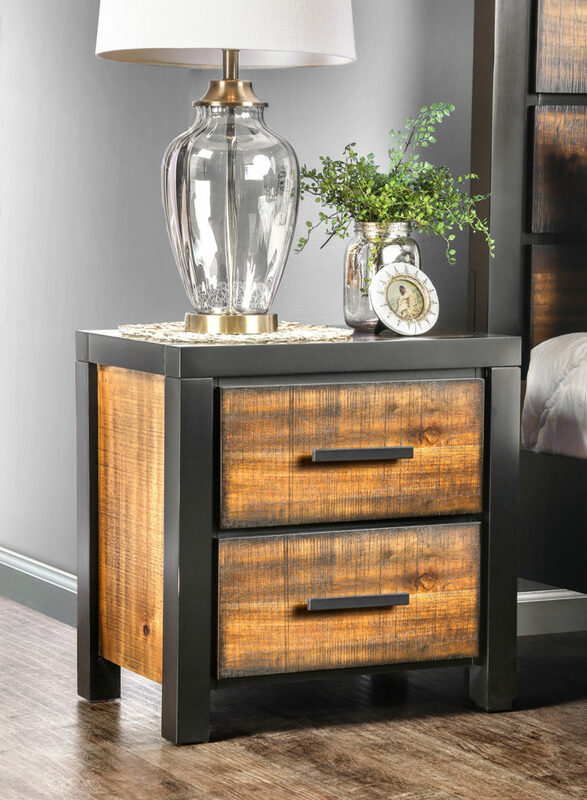 Try some distressed pots for a rustic vibe, or use metallic or white ceramic pots for a clean, modern look. 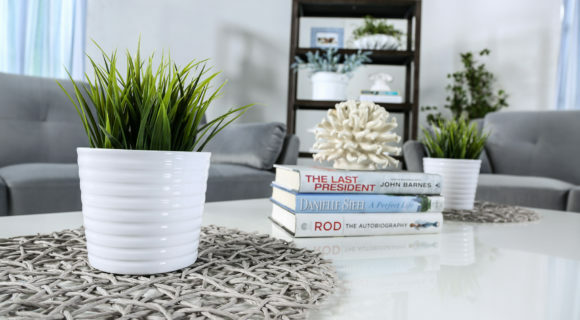 Cultivate a sense of well-being and bring your room to life by adding a touch of greenery to every space! This entry was posted on March 14, 2017 by FOA Team. Plants and some greenery in the living room or bedroom gives the illusion of sitting outdoors some times, company of plants is always refreshing.